Tumblr is one of the most popular blogging platforms right now so it's no wonder why people all over the web are scrambling to find good free Tumblr themes that look nice and professional. With the right theme, your Tumblr blog will look almost as good as a professional website! If you’re really dedicated to growing a popular Tumblr blog or already have a loyal following, then you might consider hiring a web designer to customize a theme for you. But if you don’t want to fork over the dough it costs to hire a real designer, you can always go hunting for free high-quality Tumblr themes. You just need to know where to look. There’s perhaps no greater place to look than within Tumblr itself. You can find some of the best themes being given away by people who are already on Tumblr. “Free Tumblr Themes” Tag: Search for variations of “free Tumblr themes” within the tags to bring up posts by users and designers who are offering free themes to their followers. 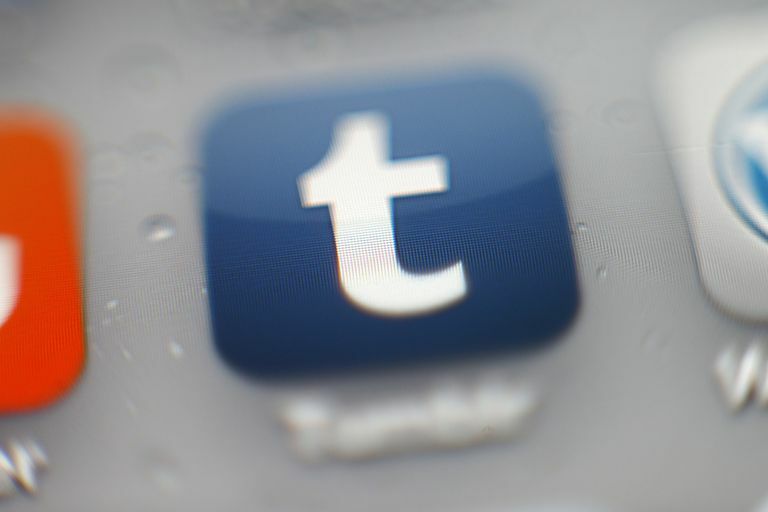 Tumblr's Popular Free Themes: Browse through Tumblr’s Popular Themes page for some of the best themes that are offered for free. Zen Themes: Clean and minimal Tumblr themes you can use for free. Themes That You Like: A few simple grid-style themes you can download for free. Themes by James: Beautiful, clean, grid-like Tumblr themes that are free to use. ThemesLtd. : A site offering cute Tumblr blog themes for free. Once you click on the theme, step-by-step installation instructions are given to you. ThemeForest (Not Free): Unfortunately, these themes come with a cost, but they’re higher quality compared to many free themes and don’t come with a very expensive price tag. ThemeForest is a leading provider of all sorts of blogging skins and themes for various platforms including Tumblr. There are all sorts of web development and design blogs out there that do the hard work for you by digging around the web to find the best Tumblr themes available for free. These blogs often publish their posts as lists featuring lengthy roundups of themes with photos, descriptions and links to download them. Designs Crazed Roundup of Clean Portfolio Themes for 2017: One of the most recent blog roundups of free, customizable themes. Stylish Web Designer Theme List: A blog post featuring an enormous list of 200 free Tumblr themes in no particular order. Themeson Tumblr Blog: This is a Tumblr blog that is entirely dedicated to sharing the very best and most recent free Tumblr themes. Complex Picks for Best Free Themes: Complex.com put together a gallery of 25 free Tumblr themes that are among a few of the best. Installing a free theme is pretty simple. Since many free themes are already found on Tumblr, clicking on the theme of your choice should bring you to the installation page. A drop-down menu is shown where you can choose the blog you want the theme installed on (if you have multiple Tumblr blogs). Click Install and you’re done. In some cases, you may be given a .txt file full of code, which you have to install yourself. To do this, all you have to do is navigate to your profile settings (marked by the little person icon in the top right corner of your Tumblr dashboard on the web) and click Edit appearance. Scroll down to the Website Theme option and click Edit theme. Click on Edit HTML in the left sidebar and delete the code that’s there. Replace it with the code given to you in the .txt file by using the copy/paste functions. Hit save, refresh the page and you should be good to go with your new theme. Tumblr vs. Medium: Which One Is Better for Blogging?